On a beautiful sunny morning in May, I rolled into Montana. 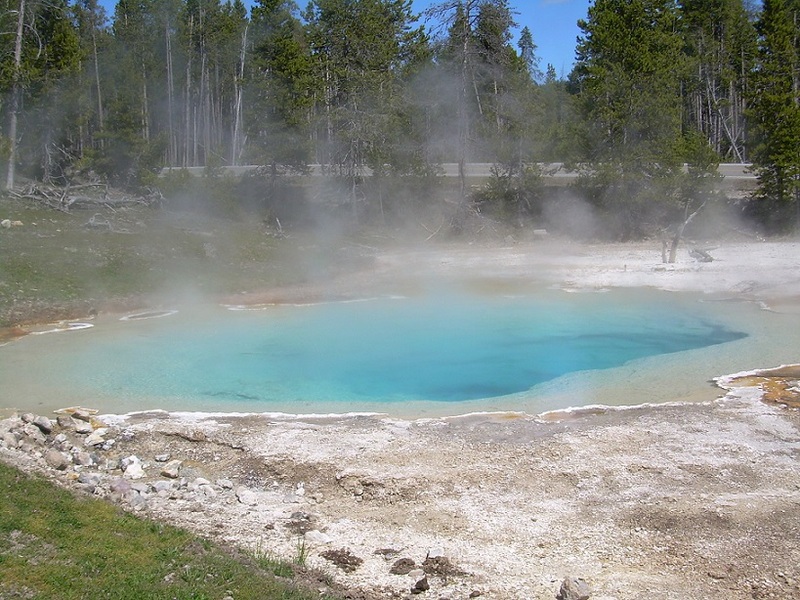 On the way to my friend’s house, I just had to make a brief side trip to Yellowstone National Park. I had been there once before, about 30 years ago. It was hot and sunny, not the best time to be out in the open for me. 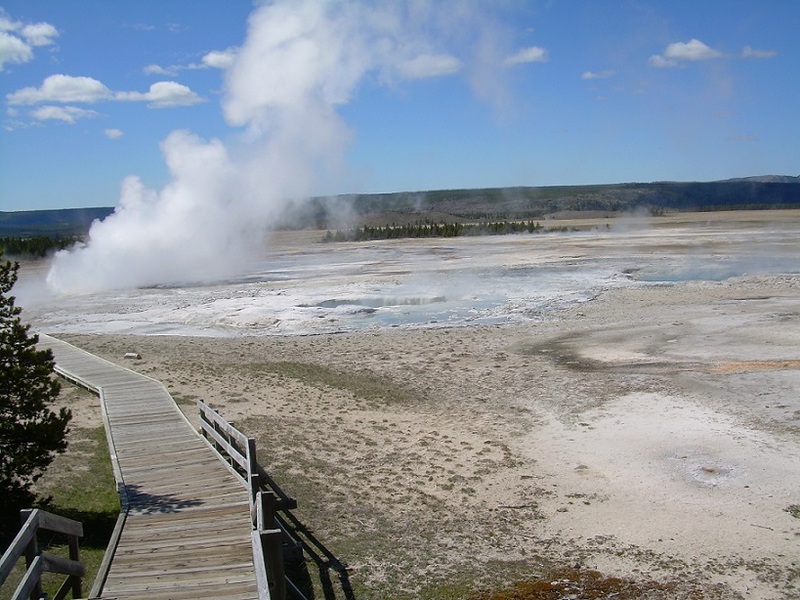 Yellowstone is a huge park, so I could visit only a few sites this day. 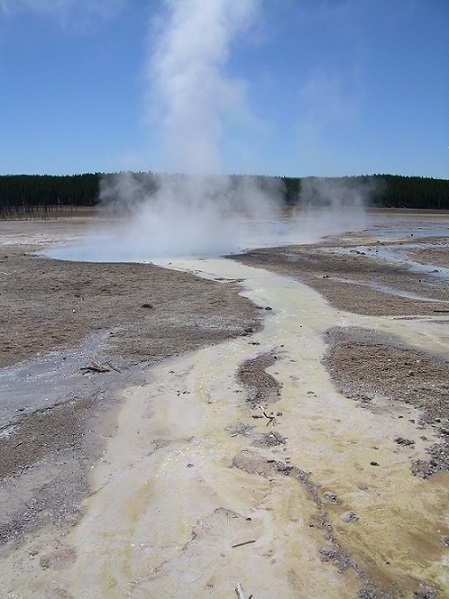 I made my way down to some geysers, hot springs and mudpots. 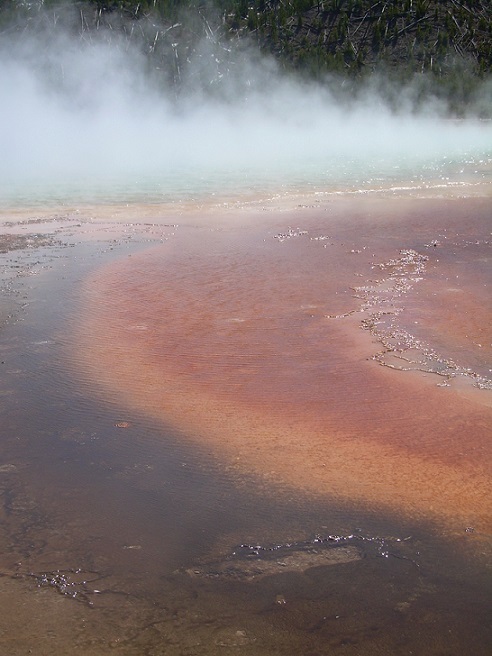 The colors around some of the hot springs are spectacular, from microorganisms that live in and around them. 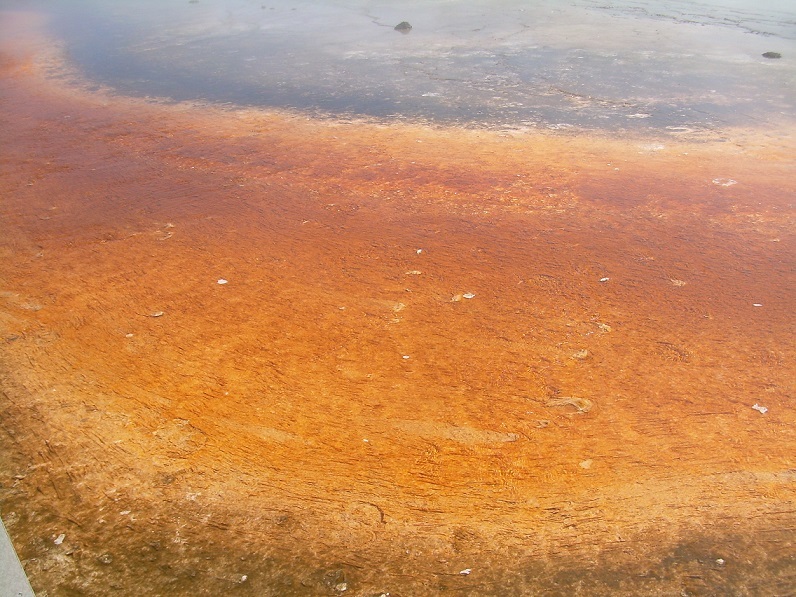 Rich hues of orange or yellow ring the edges of the water. Look but don’t touch! This is some hot water. The mudpots are amusing blobs of saturated sediment like boiling pots of chocolate. Steam below the ground forces the mud into the air at random periods of time. 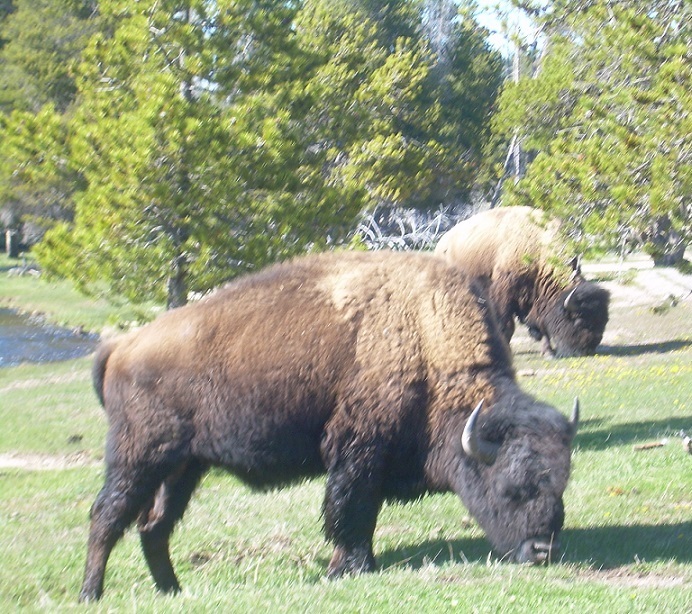 Bison are easy to see in the park. They just stand around, grazing. But make no mistake, they are far from tame and slow. I wasn’t too interested in getting close. But the clock was ticking and I needed to get going to my friend’s house in Livingston. It had been many years since we saw each other. 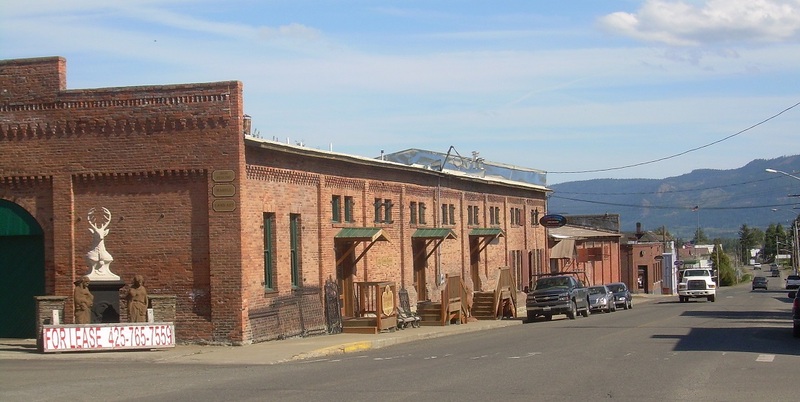 A few days later, after a wonderful reunion with my childhood friend and her family, I had to move on from the cute and historic little town of Livingston. 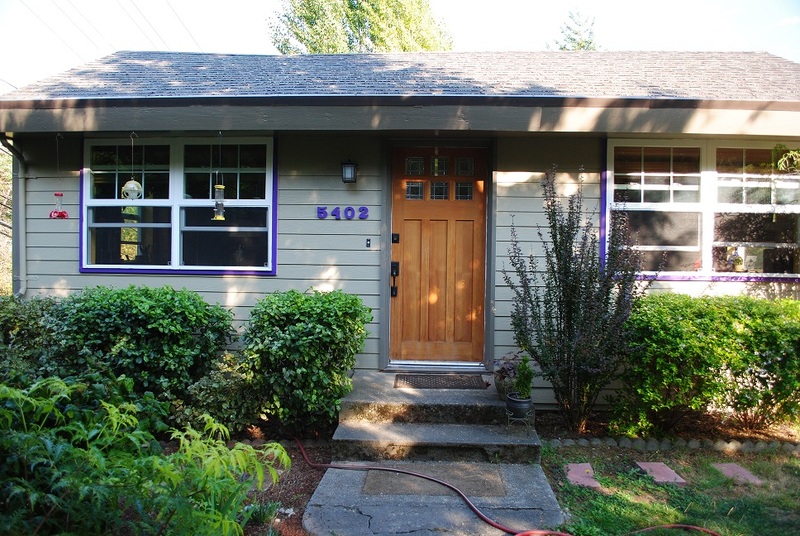 Washington, my new home, was calling! I had only a couple days to meet up with my movers and settle into my apartment. 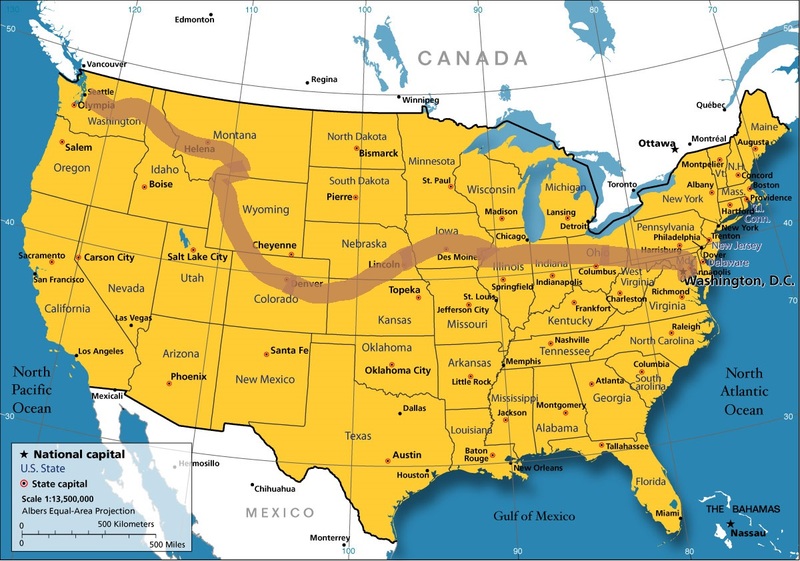 My route took me northwest, through Idaho for the first time. I had to pull over to record this strange highway sign. Just where was I? If I took this exit, would I end up in nowhere? Farther down the road, it began to look more like ski country. Pretty soon, I was driving along Lake Coeur d’Alene, a gigantic recreation area. There’s not much water in these parts and I was certain that the lake is a summer pilgrimage for many. My overnight would be in Spokane. I stayed in a convenient, nondescript motel. The next morning I returned to I-90 west, passing through lots of agricultural areas and dry country. 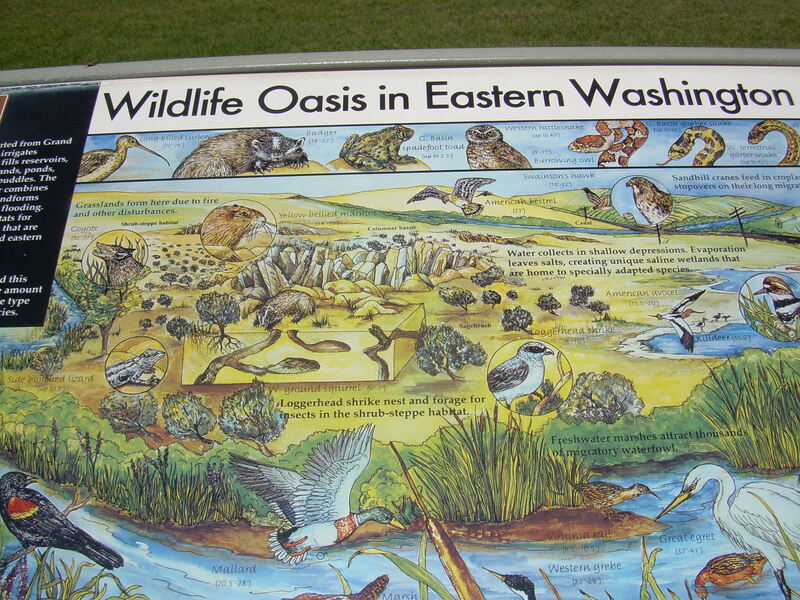 At a rest area, there were interpretive signs about the natural landscape. 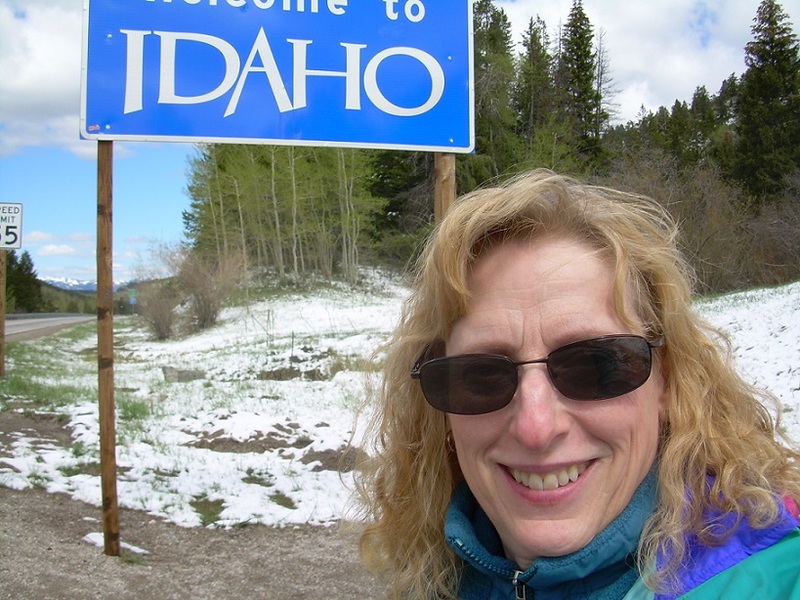 I was happy to see that my new state valued its natural resources and I was eager to learn about them. 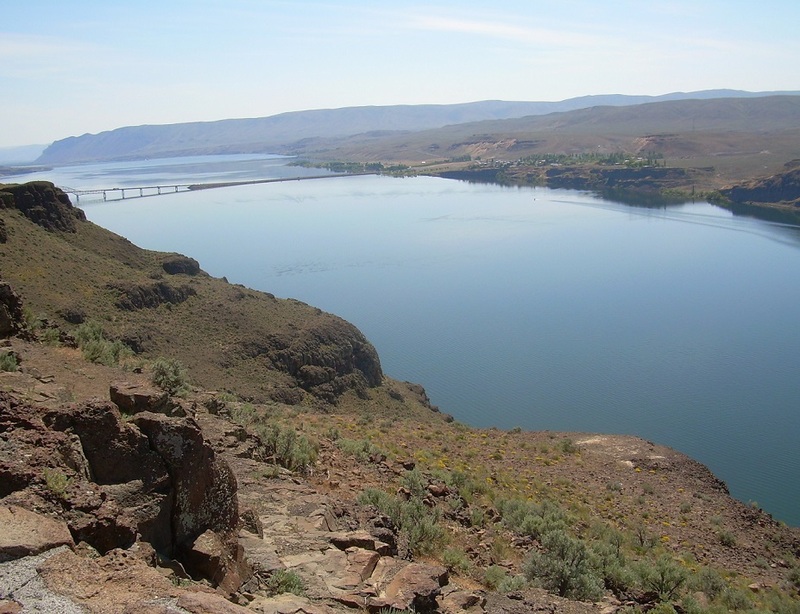 When I came upon my first views of the Columbia River, I had to stop and take it in. There were some wildflowers blooming that I would later try to identify. It was hot and dry and felt like a desert. 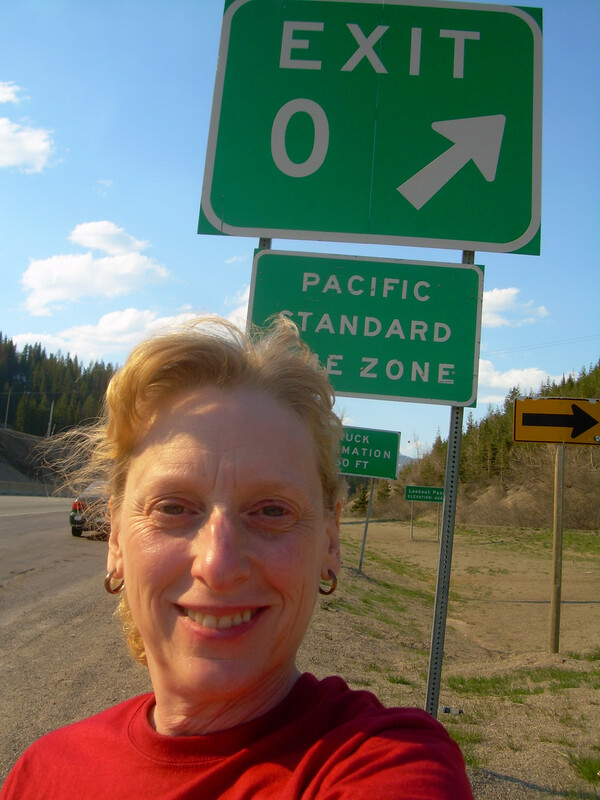 Crossing the big blue river, I came upon signs for the tiny town of Vantage and its oddities. I had to stop and see for myself. 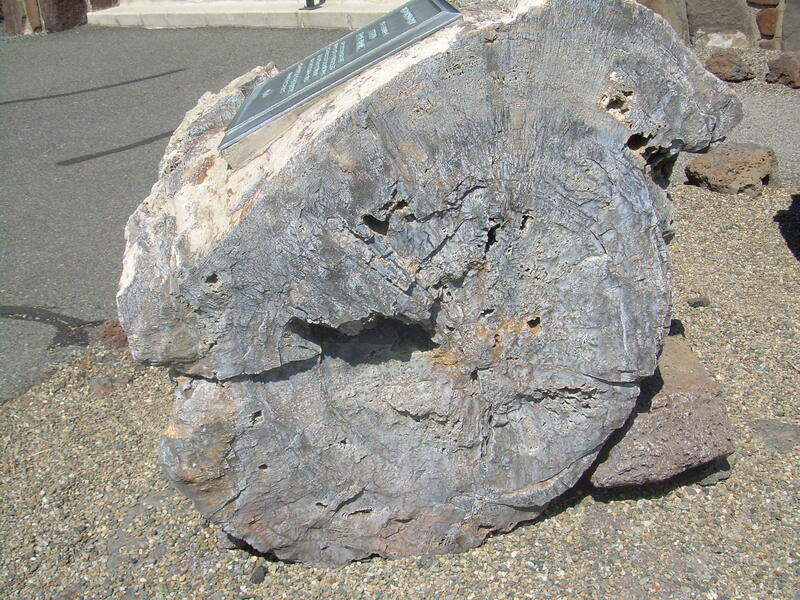 The signs promised petrified gingko trees and petroglyphs. Sure enough, there were some pieces of petrified trunks, and a short hike produced some Indian paintings on rocks. Down below, a small road disappeared into the river, the only evidence of a town that was covered forever when the river was dammed. 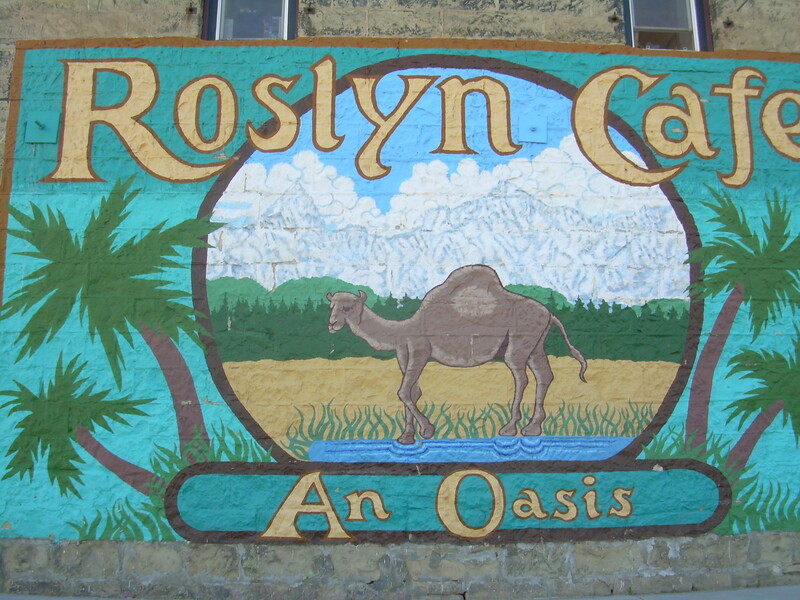 Continuing west, I wanted to stop in the tiny town of Roslyn, which is designated a National Historic Landmark. 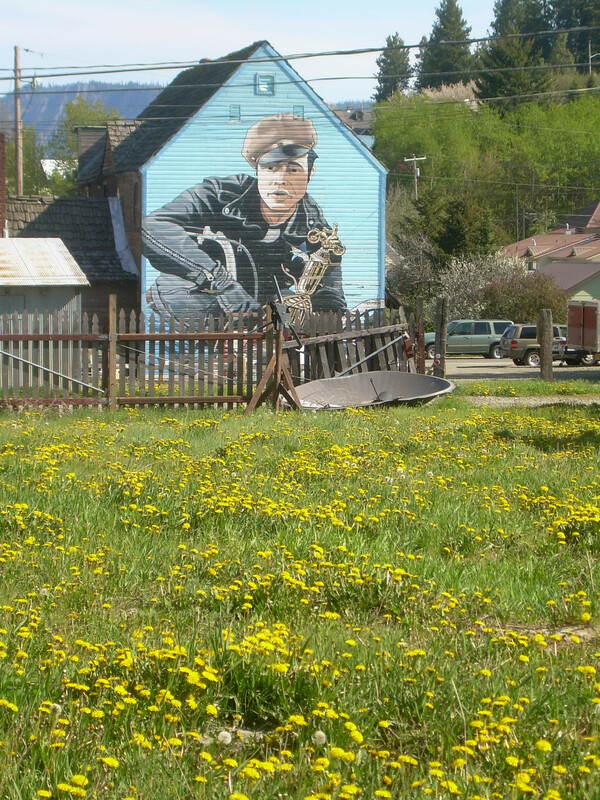 Having read about it, I had to see the painted mural on the side of the building that became famous in the opening scene of Northern Exposure. I could just picture the moose ambling by. Fewer than 1,000 people live here. 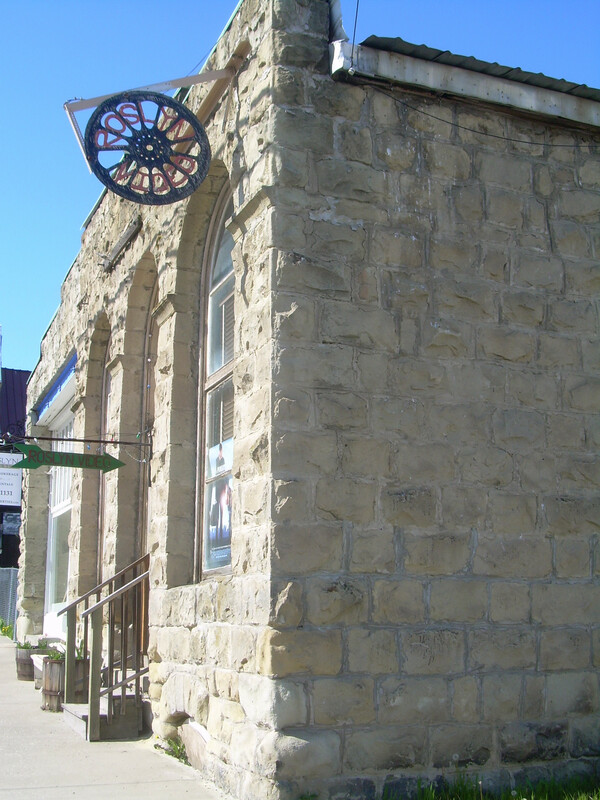 The town has some other interesting buildings and murals, some related to its history of coal mining. 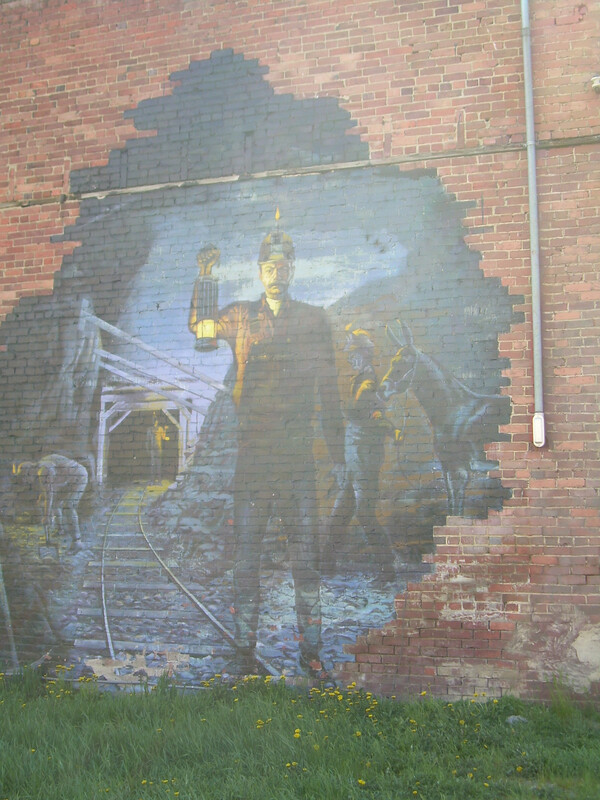 The mines drew workers from around the world, and the town was bustling as the mines pulled out tons and tons of coal. But by the 1920s, they began to shut down. I was just two hours from Seattle. 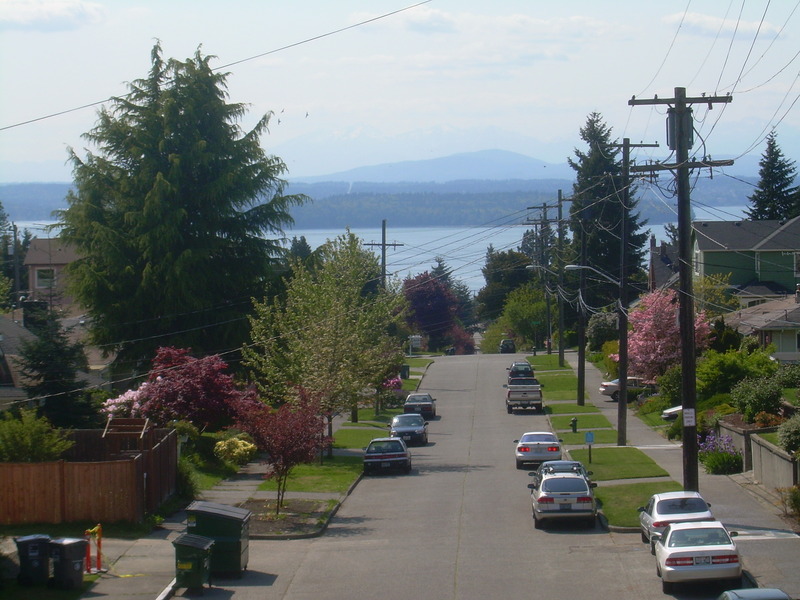 When I arrived at my new apartment, I was amazed to find that I had a small view of Puget Sound and the Olympic Mountains! That was eight years ago, and I’m still very happy, though have moved on to my house!